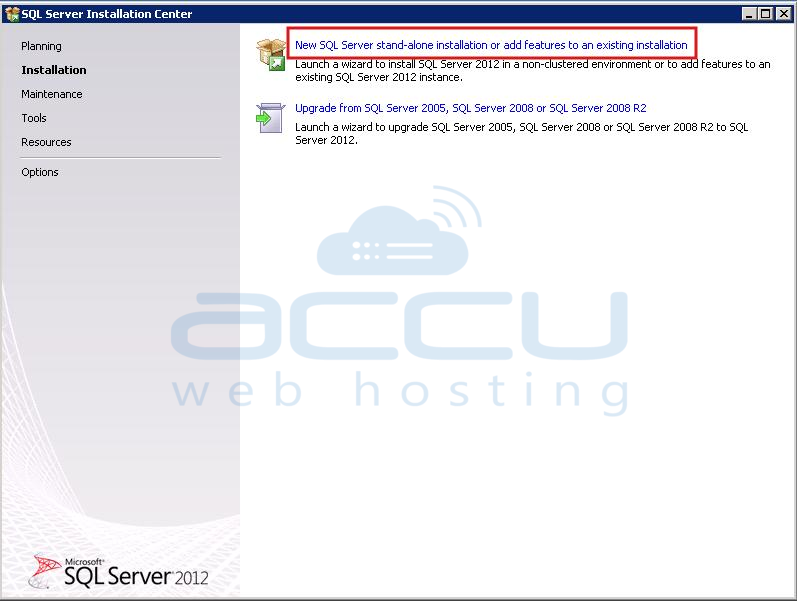 How to Install Advanced Features on Existing Instance of MS SQL Server? If you have chosen MS SQL Server to be installed in Windows VPS while placing an order, you'll get pre-installed MS SQL server along with Advanced Services. MS SQL Server Advanced services include excellent features like, Full Text search, Reporting service, Advanced query optimizer, Triggers, Stored procedures, Views, etc. This article will help those who've installed MS SQL Server without Advanced Features, and they wish to add them on existing MS SQL Server instance. Note that, when you follow this knowledge-base, it is assumed that you have pre-installed MS SQL Server 2012 instance without Advanced Services. 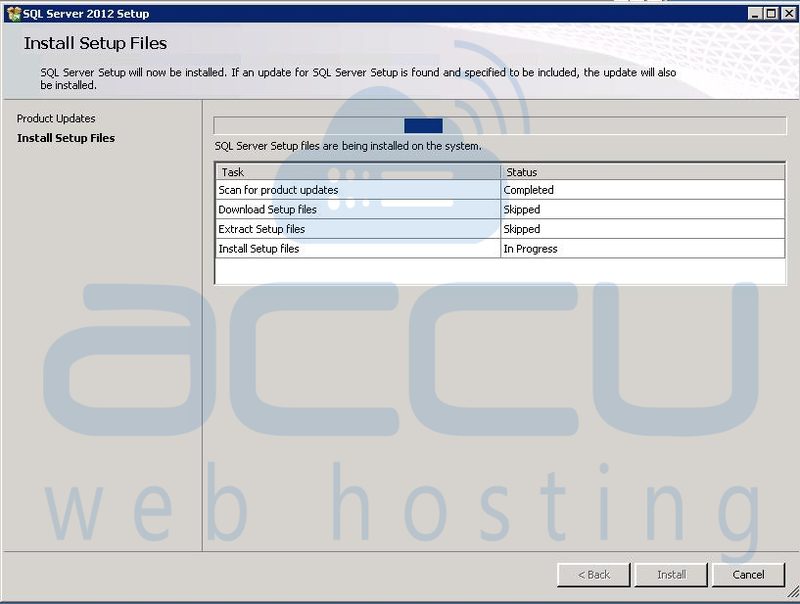 For MS SQL Server 2012, download the setup file SQLEXPRADV_x64_ENU.exe with Advanced Services. For MS SQL Server 2008, download the installer file SQLEXPRADV_x64_ENU.exe with Advanced Services. To match the pre-installed MS SQL Server version, we have selected 64 bit version installer. You should choose the installer version according to your existing setup. If required, you may also choose other additional components (SQL Server Management Studio, etc.) to be installed with setup files. Once necessary setup files are downloaded, launch the installation process and you would see following screen. 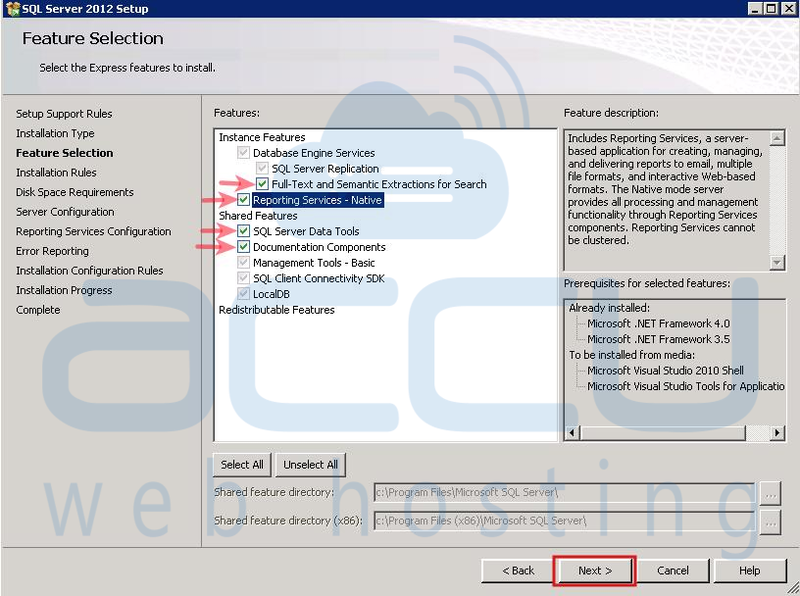 Select first option New SQL Server stand-alone installtion or add features to an existing installation. 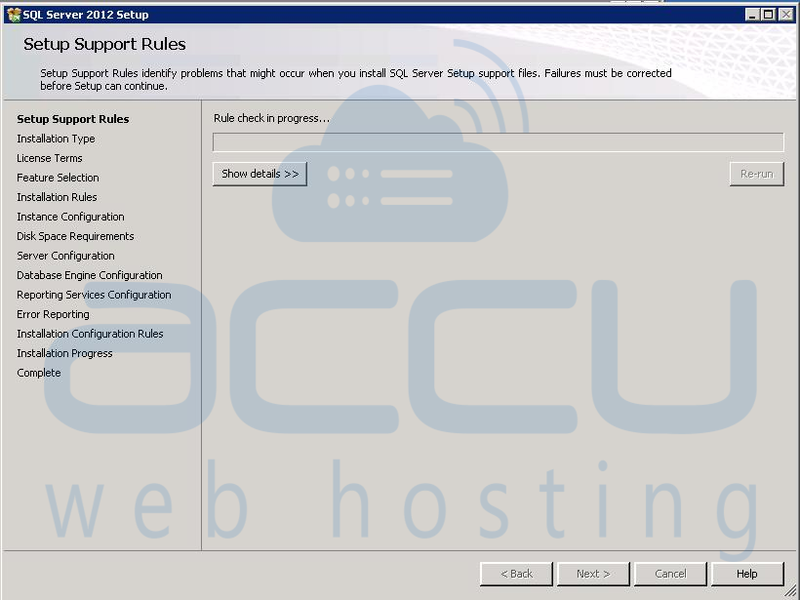 At this stage, installer will run several rule checks and you would see several installation progress bars. 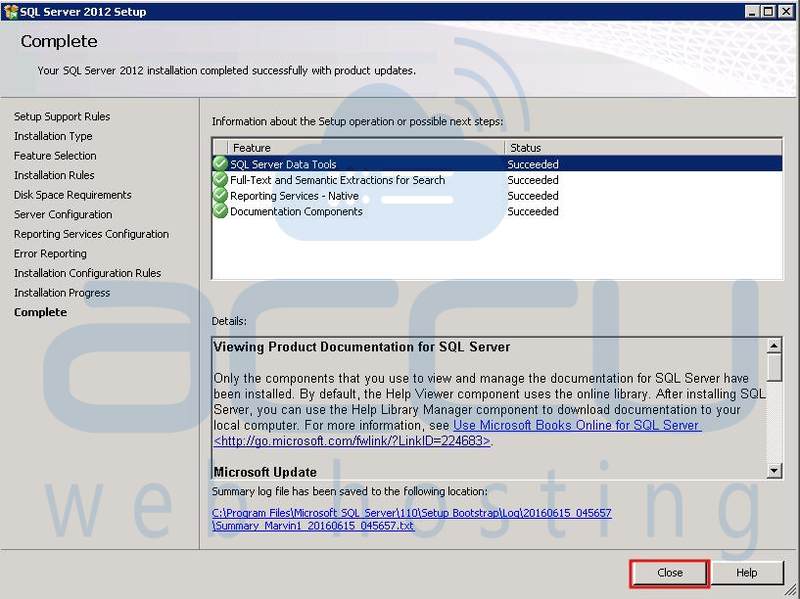 On the Installation Type screen, select Add features to an existing instance of SQL server 2012 option and click on Next button to proceed. On the Feature Selection screen, select the advanced features you want to install on existing MS SQL Server instance and click on Next button to proceed. Again, installer will run some installation rule checks and disk space requirements check. On the Server Configuration screen, you may configure an account for each SQL service, or you can simply skip it by clicking the Next button. 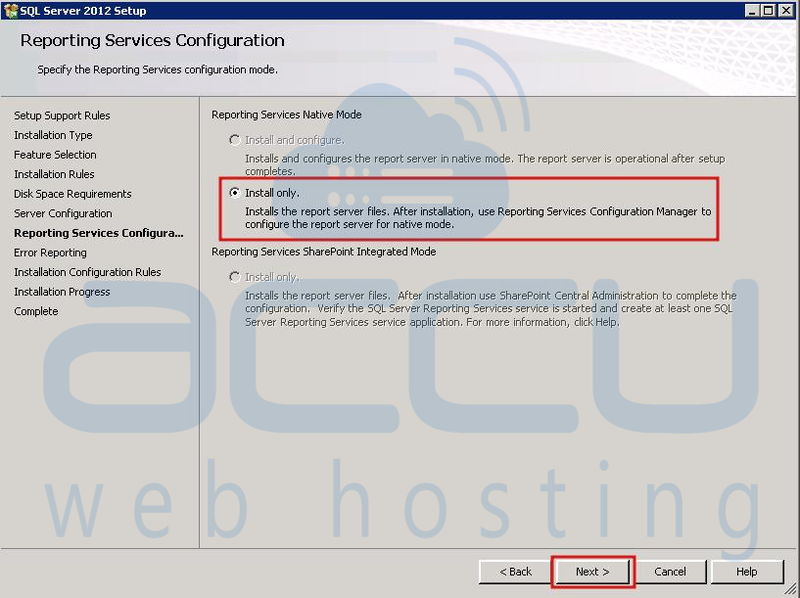 On the Reporting Service Configuration screen, select Install only option and click on Next button. 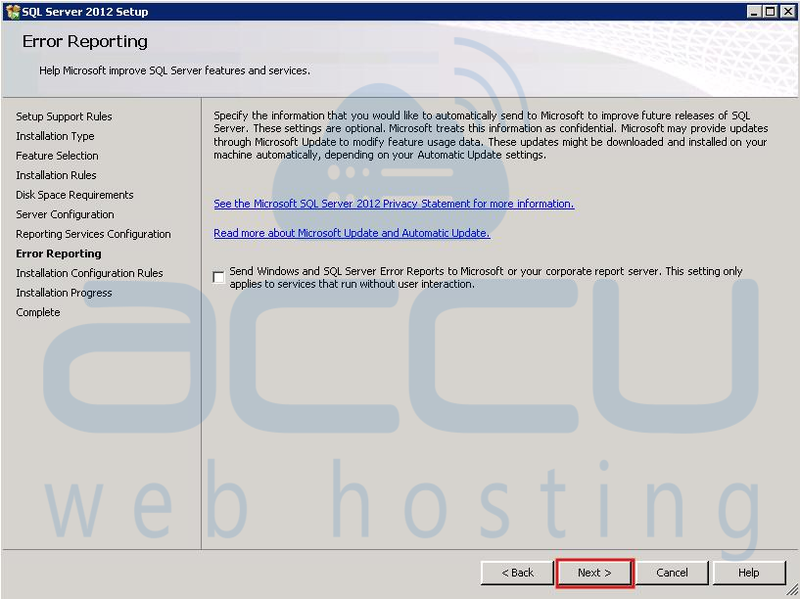 Since Reporting Service is not installed yet, you may need to configure it later on. On the Error Reporting screen, simply click on Next button. On the next window, you would see installation progress as follows. Once selected components are installed, you would see following success message. 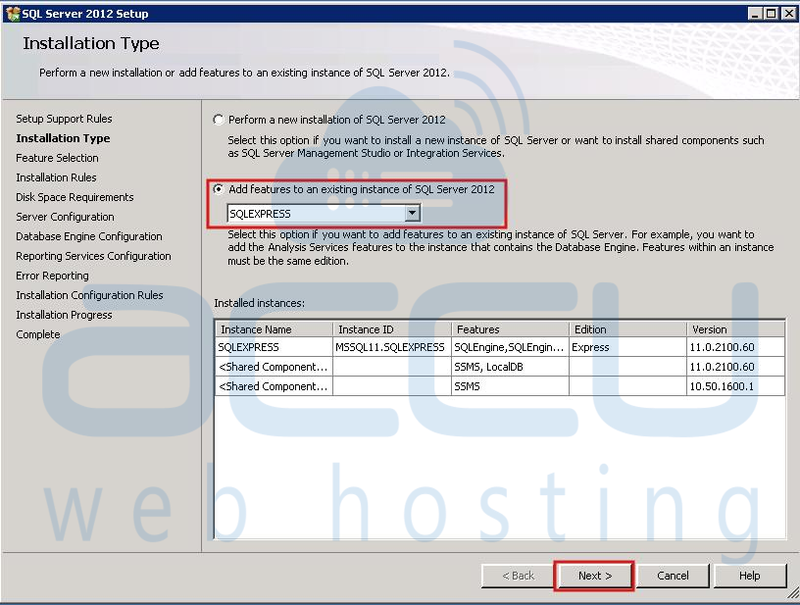 How to restore MSSQL database from SQL Server Management Studio? How to install MS SQL Server 2016? How to create a Database (Asp .net or Other) on MSSQL Server?